I have always liked the Leisure range of yachts, especially their smallest, the Leisure 17*, but the 22 was an excellent family yacht. 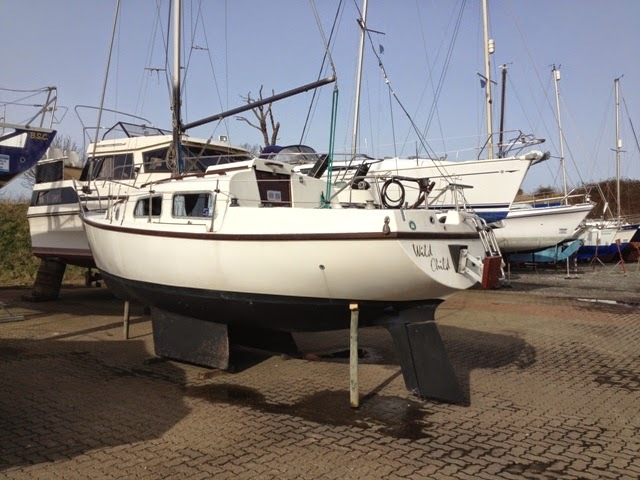 She was an affordable ‘peoples’ boat’, ideal for pottering, and for doing an occasional cruise, perhaps exploring the East Coast Rivers, or sailing the choppy waters of the Solent. For those with more time on their hands and the competence to do it, they may venture westwards along the South Coast to Devon and Cornwall. Intrepid sailors might even cross the Channel to Roscoft, Brest or Douarnenez; then circumspectly work their way around the rocky North Brittany coast to the Channel Islands, before running the gauntlet of shipping on a passage homewards and northwards back to Blighty. For an appraisal of the Leisure 22, visit the first link below. You know Bill, I have got an idea, maybe a strategy for me would be to purchase a small yacht like some that you are featuring here (a real cheap CTS version - Close To Sinking) do her up a bit and then spend some time around your MG (Maurice Griffiths) East coast. I feel a plan forming here. - When you look at the price of hiring cars, hotels,bus tours etc etc etc this may well be a good way of seeing what I need to see Sailing wise in the UK! Hello Bill, I can only echo your remarks as far as the Leisure 17 is concerned, in spite of the tubby looks and feel. Mine had a very good turn of speed, even in my inexpert hands, and I had the idea that shed be quite forgiving. Well, Alden, Buying a boat in the UK is easy, because there are thousands for sale; selling her after your exploration may not be so easy. This applies to all second-hand yachts, expensive or cheap. 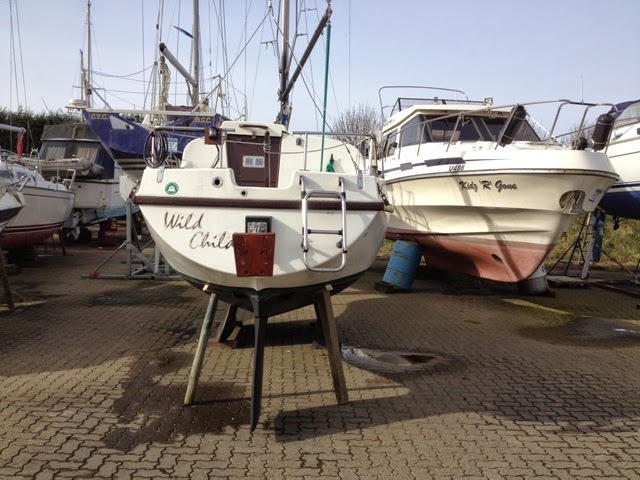 Cheap boats often require considerable expenditure and effort to renovate them; therefore it may be better to obtain one in good condition. Such a boat will let you start your exploration from the outset, saving time and effort. If she's in good nick, you may retrieve your initial expenditure at the end of the cruise, providing you can sell her! Unless you can find ways of avoiding marinas, you have to factor in the costs of visiting them. If you intend using the boat as a base for exploring inland UK to avoid hotel costs, all the other costs involving travel will apply. Travelling anywhere in the UK is expensive. As you say, it's an idea worth mulling over. The Leisure 17 is a remarkable boat. I remember reading somewhere that one had crossed the Atlantic. 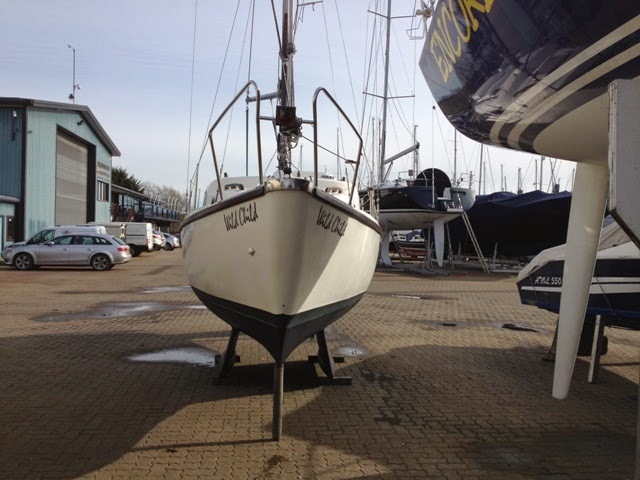 If I were continuing coastal sailing, I would have no hesitation in doing so with one. Youre quite correct Bill. One did cross the Atlantic in the early days, but with the windows fitted with blanking pieces,allowing only a slit to admit daylight. You may also recall a lovesick Turk, who sailed one from the Med a few years ago, trying to meet a girl he fell in love with while she was on holiday. He got deported for his troubles, but some kind soul befriended him and sold the boat, complete with a diesel inboard, on e bay.